If you check our site for supplement reviews, we would assume that you’ve already read about products made by the company iSatori. This manufacturer is actually a great company that offers nutritional products that function on particular ways. As for us, we’re also enthusiastic to evaluate any of the company’s supplements. Specifically, we appreciate the best-selling product, Bio-Gro. For this reason, we decided to completely assess the company’s pre-workout formula, the ISYMFS. One of the things that caught our attention with this specific product is its name. Like you would have probably noticed, ISYMFS is a distinctive brand name for a pre-workout supplement. Interestingly, the name is not associated with the science behind its formulation, nor does it have something to do with the components included in its formula. Actually, ISYMFS simply stands for It’s Still YoMuthaF’n Set. Shocking for the blundering nature of its brand name, isn’t it? 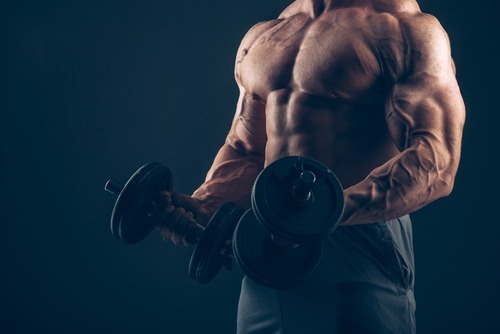 However, since the company is endeavoring to deliver the essence that the supplement is an intensely, full-throttled pre-workout product that’ll surely bring you at the top of your game, ISYMFS is not so bad. As a matter of fact, it’s only fitting, if you really think about it. Just like other pre-workout products, this specific supplement also includes stimulants, mainly caffeine. 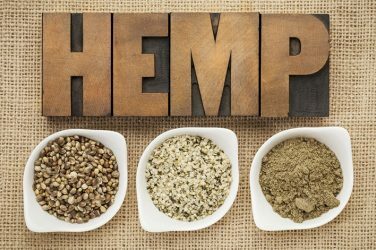 In totality, it has 375mg of caffeine, which consists of 300mg anhydrous and 75mg citrate. Another stimulant contained is Theacrine (25mg), which can be comparable to caffeine. Combining these stimulants facilitates increased mental drive and energy levels for the consumer. This is the very outcome that every fitness enthusiast, athlete or bodybuilder out there seeks for in order to help them boost their physical and mental capacities, resulting to heightened workout performances. Products like this are often taken by those who want to experience a significant boost in their physical performance, as well as accelerate their ability to grow their muscles during training. The concept is to provide the consumer the benefit by boosting their energy, concentration, and endurance in order to undergo more rigorous and longer workout sessions. With this, you’re able to get the desired results faster, too. Also, just in case you’re curious, bodybuilder CT Fletcher is iSatori ISYMFS’s brand ambassador. Having a well-known personality to promote your product, of course, adds to the overall reliability of the brand to customers. It also gives the impression that the product is also highly effective since it is being promoted by someone who’s an expert when it comes to muscle building. We have assessed some other pre-workout products prior to this and from there, we’re going to measure up ISYMFS to other supplements we have deemed to be credible. 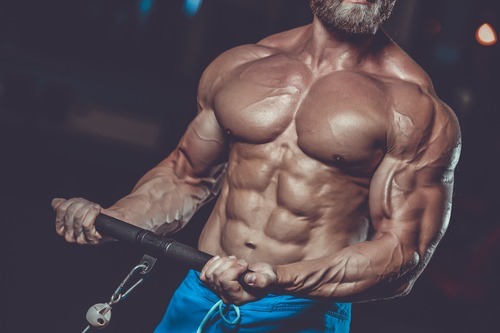 For one, with a total of 400mg of stimulants (if you add caffeine and theacrine together), ISYMFS’s stimulant content is pretty high for a single individual in just a single dosage. If you look at it, it equals to consuming three Venti brewed coffee at Starbucks within seconds. Obviously, too much caffeine is not good for you with accompanying unpleasant physical or physiological manifestations. Thus, it’s more advisable to attempt consuming half doses first. 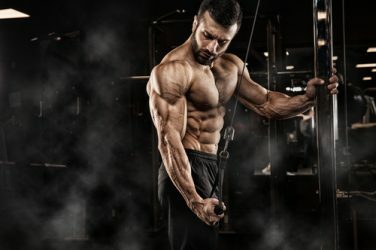 However, this also implies that you’re sacrificing the beneficial aspect of the product’s formulation since there are benefits in ISYMFS you don’t want to trim down into half. Moreover, ISYMFS has Carnosyn, Creatine, and Betaine Anhydrous. These ingredients are contained in proper daily dosages. The completeness of the ingredients makes ISYMFS an ideal pre-workout supplement, if only there’s no issue with its high caffeine content. Plus, this supplement also has L-Tyrosine, which means that your overall frame of mind can also be augmented from taking ISYMFS. In general, it really seems that ISYMFS is the kind of product that works. Just be cautious of its caffeine content. This isn’t wise for you to take if you have allergy to caffeine. The high content of caffeine in ISYMFS can be too much for recreational athletes and bodybuilders to handle. As mentioned, ISYMFS is a promising pre-workout supplement. As long as you’re cautious and you’re not sensitive to caffeine, taking ISYMFS should be good for you. It will deliver the results you’ve been hearing about.